In April, eWallHost launched a very attractive. 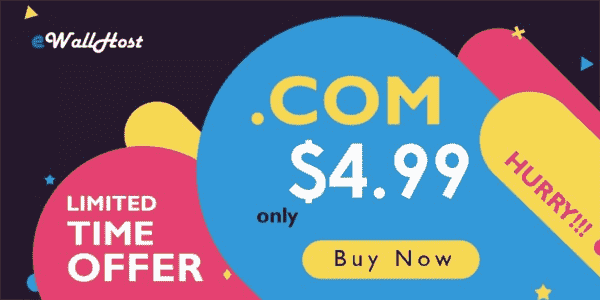 COM promotion, discount .com domain only $4.99. With this eWallhost Coupon offer, you can register new domain name .com for only $4.99/ year only. Especially, no quantity limit.